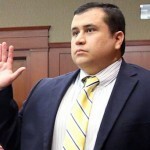 On Friday, July 12, Dan took questions on Facebook about the George Zimmerman murder trial. In an abc.com article, Dan writes his responses to the most popular questions. Byron Nicholas Jr. asked, “Was Trayvon using his stand your ground right ever brought up? If not, why?” Dan replied, “In the end this wasn’t a stand your ground case. But regardless even if Trayvon was justified legally at first and he started beating up Zimmerman and then Zimmerman reasonably believed he was in danger of great bodily injury, he can use deadly force. That’s just the law.” In response to Jason Jenkins’ question, “How can self defense be applied when Zimmerman was the stalker?,” Dan writes, “Because the law of self defense in this case is only based on whether at the moment he shot him was he reasonably in fear of great bodily injury. (They also dispute that he stalked Trayvon Martin but that is a fact question. )” Read the full piece here.